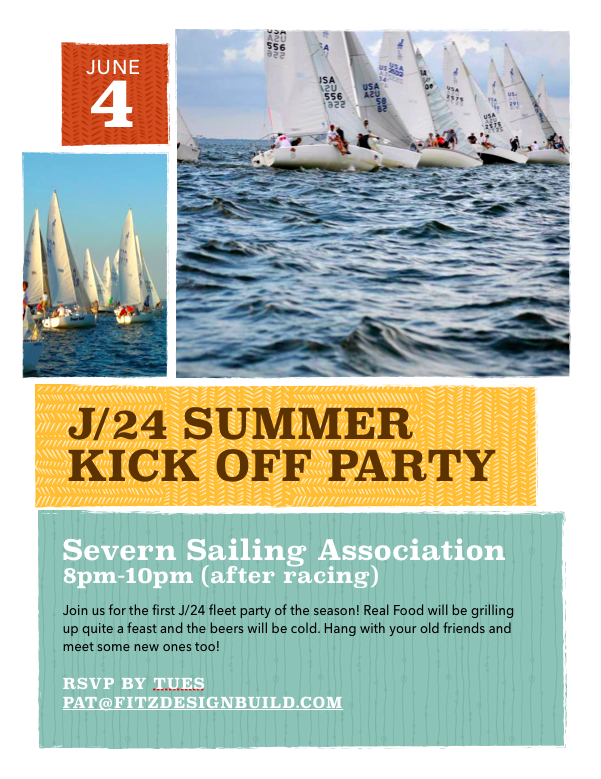 The first J/24 Fleet Party of the season is this Thurs after racing at SSA! Menu includes pulled pork, teriyaki chicken, watermelon, assorted side dishes, draft beers, wine and soda. RSVP by tomorrow to Pat FitzGeraldand come join the fun!